Neven Maguire, Target Lung Cancer Ambassador, shares some of his healthy recipes with us. 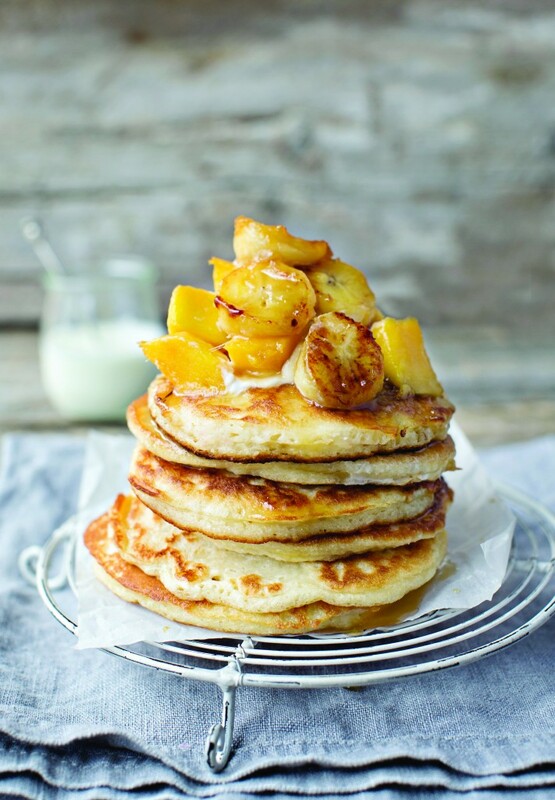 This one is perfect for Pancake Tuesday! Put the flour, baking powder and salt into a bowl. Make a slight dip in the middle and crack in the egg, then add the buttermilk and mix until smooth with a fork or small balloon whisk. Put a large non-stick frying pan over a medium heat. Add a little sunflower oil, removing any excess with kitchen paper. Spoon 3 tablespoonfuls of the batter into the heated pan and cook for 1–2 minutes, until little bubbles rise up to the top. Using a spatula, carefully flip over and cook for another minute or so, until golden on both sides. When the hotcakes are done, transfer them to a plate and cover with foil to keep them warm. Wipe the pan with kitchen paper and add a little more sunflower oil. Continue to make hotcakes with the rest of the batter. You should make about 12 hotcakes. Once all of the hotcakes have been made, wipe out the frying pan with kitchen paper and add the butter. Once the butter is melted and sizzling, tip in the mango and bananas, tossing to coat. Sauté for 2–3 minutes, until heated through and just beginning to caramelise. Drizzle over the maple syrup or honey and lime juice and continue tossing until evenly coated. Arrange three hotcakes on each serving plate. Add a spoonful.